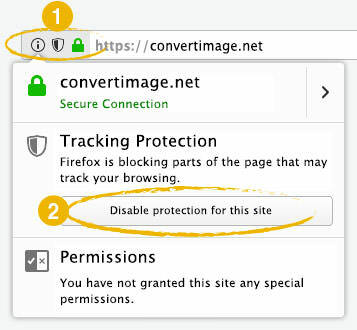 When you want to insert a text watermark on a photo, there are two methods: You can either buy & learn how to use a dedicated software or you can let ConvertImage add a watermark online & for free!... Yes, the choice is not so easy ;) ! You can quickly add text over an image. ConvertImage will easily put a watermark on your image and will let you choose the location of your text as well as the strength of its opacity (transparency). Your photo will then not be too much altered but yet it will protect your work. It will prevent any other users (for instance your competitors) to easily re-use your image without your consent. This method is known as "Watermarking". In addition to insert text watermark you can evenuse your own image as the watermark of any other picture (PIP)! 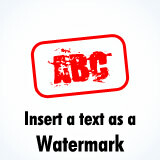 You will enter your text and choose the angle of the text overlay, just after sending your file. 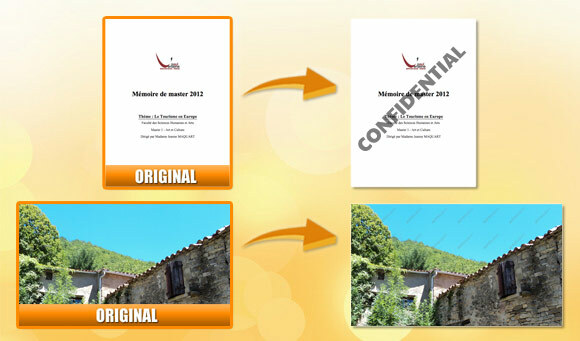 Watermark all your photos and images with ConvertImage ! ... and quickly protect them with a watermark !